New (old) toy for Talladega. Hey Photography! I just picked up this old 4x5 camera and some Kodak Portra. 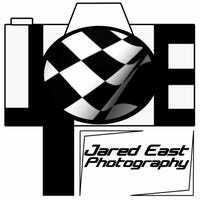 I leave to shoot Talladega tomorrow morning. I am hoping I find time to bring this to Talladega city and capture some nice sunrises at the lake house we stay at. Randomly amazing cars and I met Flyboy flew a Cessna backwards. A video me and a friend did for Florida Xtreme Adventures. I finally made a website! The images are all my work for Daytona International Speedway. I am pretty happy with this fake watch ad I made for class. Since Kinja was broke all day yesterday I will post my photos from the Sprint Unlimited again. I wanted to share some photos from last nights Sprint Unlimited Nascar race. Here are photos from the big wreak Saturday. Rolex 24 Pics. Re Post for the morning people. Here is my Rolex 24 gallery. I was assigned everything but racing, however I still managed to shoot a few laps. Here are a few photos from todays race.